With its mission of protecting + promoting women’s health going all the way back to the organization’s founding in Brooklyn in 1916, Planned Parenthood has always been a group whose work we’ve greatly admired. We created this invitation for the local Los Angeles chapter of Planned Parenthood Young Professionals (PPYP), a volunteer membership group for Angelenos in their 20’s and 30’s that builds support for Planned Parenthood Los Angeles through social events, volunteer opportunities, and fundraising. PPYP holds an annual drag queen bingo night to raise funds for the LA chapter’s work and asked us to guide the design and event branding process this year. 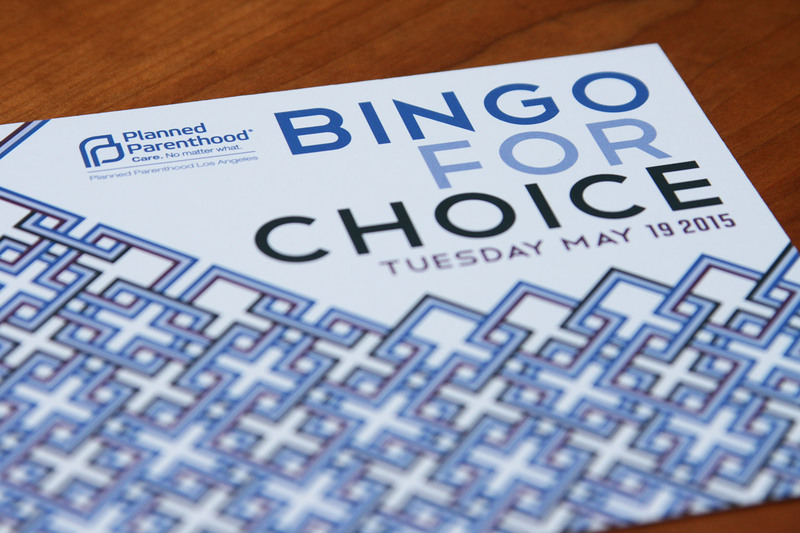 For the 2015 event, we took cues from the event space, the Los Angeles Athletic Club’s elegant Centennial Ballroom, pulling the design inspiration from the geometric patterns in the room’s carpet and shifting the color scheme to be more in-line with Planned Parenthood’s organizational branding. Find out more about Planned Parenthood and how you can get involved in your area via the organization’s website; and join Planned Parenthood Los Angeles Young Professionals via their web portal.